As always, this is Not a Best List but a list of some of the people, places and things we encountered in the past year that we feel deserve a shout-out. Enter your own nominations at our Facebook page or in the Comments at the bottom of this page. And please, treat yourself to these Nevada wonders, excitements, pleasures, comforts and satisfactions and others like them in 2019. Raise a farewell toast to Don Newman, the recently retired 12-year E.D. of the Elko Convention & Visitors Authority and Convention Center. Don is a native of Las Vegas but escaped young to Elko. 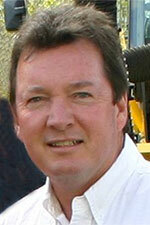 He was General Manager of the Red Lion when he came to the CVA in 2006. 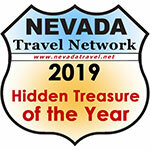 He has represented rural Nevada on the Tourism Commission since 2011 and was a member of the Nevada Sesquicentennial Commission, which sponsored or approved more than 600 projects statewide 2013-2014, including Don’s favorite, the Garcia Sesquicentennial Saddle. He’s been an energetic and capable manager of an important public asset and has served as master of ceremonies at events as diverse as the Mining Expo in June and the wonderful Festival of Trees in December. In his calm, quiet way he has set a high standard for achievement that we can all take pride in. Here’s to you, Don. You done good! Silver City, pop. 180, was settled in the mid 1850s by placer miners working claims on Gold Creek. 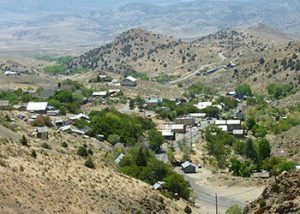 It became a staging point for freighters making the 3-mile haul up the steep canyon road through Gold Hill to Virginia City and suffered along with the rest of the Comstock as mining slowed and, by 1950, stopped. Silver City has put its mining past behind it and become a serene family-oriented community ever since. 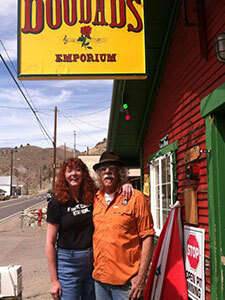 By 2015 only one commercial business remained on Main Street, the happy little store called Doodad’s, but it closed when the mining company toppled the highway into the huge Lucerne Pit upcanyon, and through traffic was diverted around Silver City. And now that mining company is threatening to destroy the rest of the town. Not by the 19th century variety of ‘classical’ underground mining that built Silver City, but pit mining, which is a brutal heavy-industry assault on the landscape and all living things within breathing, hearing and seeing distance. 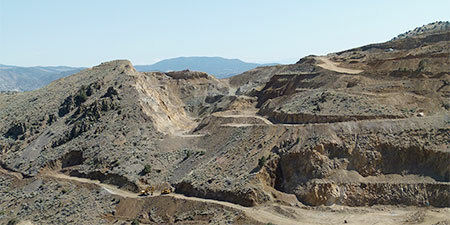 Previous Lyon County Commissioners have denied efforts to poison the community in this way, but the current bunch, has been ‘persuaded’ to abandon the long-standing Master Plan and allow open pit mining within the town itself. This is a death sentence for Silver City as it now exists. The town is fighting to prevent it of course. Most of the people who live here have made major investments in homes that will have very little value next to an ever growing hole in the ground that’s dusty and noisy and toxic to boot. 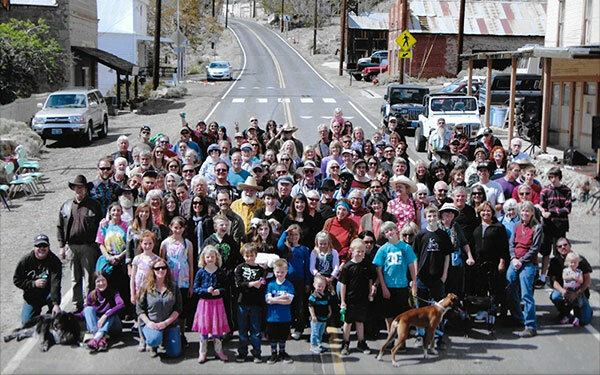 If you’d like to help or simply curious, visit savesilvercity.org and comstockresidents.org for current news, and Comstock Mining Updates for a rough history of this mess. Travel sophisticates rate the Incline Village Hyatt Regency as one of the company’s finest. 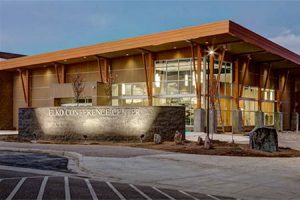 Across the street from a sandy beach and Big Blue, it features the exquisite Stillwater Spa, a casino and sportsbook, and an outdoor pool. 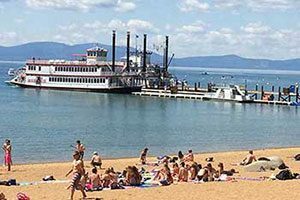 The elegant Lone Eagle Grille is right on the beach, the family-friendly, casual dining Sierra Cafe is in the hotel itself, with outdoor service available in season. Food and drink also available in season at poolside, on the beach, and at the end of the pier. It’s a great place for banquets, weddings, or for a slow, sensual romantic getaway. For great service, great food and a welcoming atmosphere, make a point of stopping at the Saltgrass Steakhouse in The Golden Nugget at Laughlin. Their homemade baked potato and chicken tortilla soups are delicious. 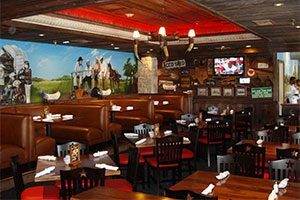 So are their double-bone pork chops, tender melt-in-your-mouth steaks, fish specialties of blackened redfish and salmon oscar. 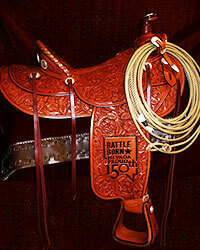 Plus the range rattlers, texas tea, and drink specials. Enjoy the free loaf of bread with your meal, scratch-made daily, like all the breads, dressings, soups and desserts here. Sunday through Thursday early dining is from 4 – 6 pm, and happy hour from 3 – 5. 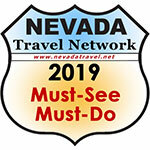 So many award-winning restaurants in Las Vegas but limited time and money. What a conundrum! The Bacchanal Buffet is the answer. 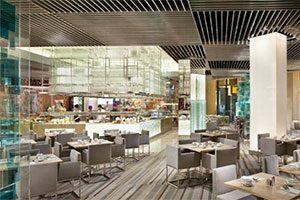 Voted the “Number One Buffet in the Country” by the New York Post, it offers truffle deviled eggs, Osso Buco, roasted baby quail, smoked beef brisket, crab legs and other delicacies, and features an Asian station that transports you to Hong Kong. The upscale buffet at Caesars Palace employs nine chefs and 124 cooks who prepare 300 food items daily. And the dessert station is aglow with a large and colorful display of gelato plus made-to-order dessert crepes. 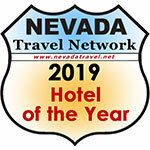 This full-service restaurant (with 10-unit motel attached) and bar in beautiful downtown Baker is a bonus for visiting Great Basin National Park between late spring and late fall. 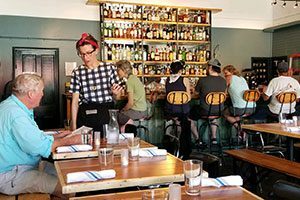 Kerouac’s serves fresh takes on American classics and offers a dining experience that is both sophisticated and approachable. We are a meeting place in town, where locals and travelers can enjoy a satisfying meal in a convivial atmosphere. The Motel is called Stargazer because with one of the darkest night skies in the country, this is an excellent area for exploring the night skies. The Park offers astronomy lectures and telescope viewings three nights a week during the summer. Zephyr Cove has no mayor, no police force, and no taxing powers, so we were ready to name it City of the year because it has a Post Office (zip code 89448) and so much more than most small Nevada cities can offer visitors — the cruise boat Dixie II makes her lake cruises year-around, a lodge with rental cabins on the lakeshore, a venerable restaurant, a riding stable, a fleet of snowmobiles, an RV Park and campground in the pines, plus parasailing, water skiing and wakeboarding. If you’re not sure how much fun you can accommodate all at once, here’s where you can find out. 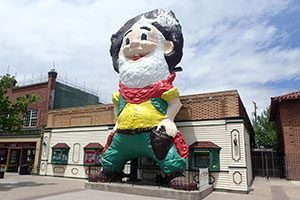 There’s a paunchy, nearly toothless be-whiskered old guy with a goofy grin who has been a familiar figure on Victorian Avenue in Sparks for more than 50 years. When he became suddenly homeless in 2014 a number of local folks made a big effort to help get him cleaned up, rehabbed and relocated. Last Chance Joe has finally returned to his old neighborhood, in front of the Sparks Heritage Museum. You can’t miss him, he’s 32 feet tall. A great Treasure, hidden in plain sight. 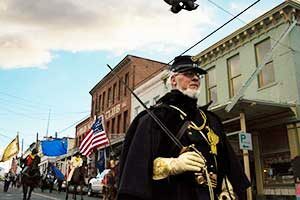 Virginia City will throw a parade at the drop of a hat, and it does a marvelous job of it. The old city droops from age and shows gaps, but on parade day — ten of them in 2019 — the air is festive on C Street, paraders and their audience enthusiastically recreating the spirit of the young city, with the shopkeepers, restaurateurs and saloonkeepers keeping the 19th century fresh and alive. This year’s calendar starts on March 17th — that’s St. Patrick’s Day — and ends in December with the Parade of Lights.